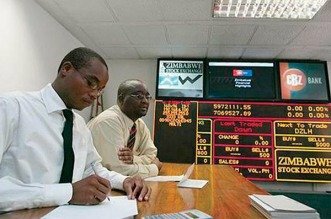 The Zimbabwe Stock Exchange Limited (ZSE) has suspended Falcon Gold Zimbabwe Limited (Falgold) from trading on the local bourse after the gold miner failed to publish its financial results for the year ended September 30, 2018. In a statement, ZSE acting chief executive Martin Matanda said the suspension, which was at the request of Falgold, was with effect from February 5, 2019. “At the company’s request, the ZSE sought and was granted permission to suspend trading in Falcon Gold Zimbabwe Limited’s shares by the Securities and Exchange Commission of Zimbabwe, pursuant to the provisions of Section 64(a)(ii) of the Securities and Exchange Act [Cap 24:25],” he said. Last December, Falgold said it was failing to pay creditors and was being cut off from critical operating inputs, thereby impacting on normal operations. Matanda said the company could continue discharging its obligations to shareholders and the ZSE during the suspension period. “In terms of Section 1 paragraph 1.8 of the ZSE listings requirements, the company should continue to discharge its obligations to the shareholders and the Zimbabwe Stock Exchange during the suspension,” he said in a statement. Falgold is 84,7% owned by Canadian-listed New Dawn Mining Corporation. For the six months ended March 31, 2018, Falgold reported a slump in revenue of $2,5 million from the $3,6 million recorded over the comparative period in the previous year. Loss from operations before taxation was $1,6 million compared to $2,5 million in the prior year. In 2016, Falgold disposed Dalny Mine to one of the country’s top gold producers, RioZim, for $8 million.